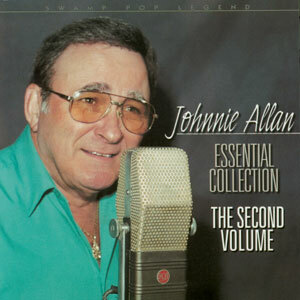 Music enthusiasts worldwide have rightly dubbed Johnnie Allan the “King,” “Ambassador,” and “Elder Statesman” of swamp pop music, that peculiar R&B hybrid fusing mainstream rhythm & blues sounds with country & western and Cajun and rural black Creole elements – a sound hailing from the 22-parish Acadiana region of South Louisiana, as well as from the Beaumont-Port Arthur area of neighboring East Texas. 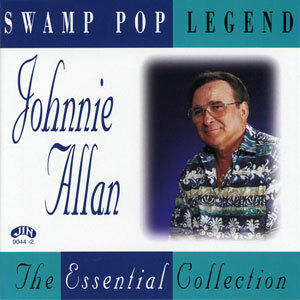 Since cutting his first swamp pop record, “Lonely Days, Lonely Nights” in 1958, Allan has appeared on over 30 LPs, 25 CDs and 58 singles. Born John Allan Guillot in 1938 to sharecropper parents who spoke only Cajun French, Allen grew up in a musically rich family – his mother played guitar and sang, as did many of his aunts and uncles, which included the Cajun legends, Joe Falcon and Cleoma Breaux, and in fact Johnnie started out playing Cajun music with Walter Mouton and Lawrence Walker in his teens. In the late 50s, he decided to form his own group to play the then emerging hot sounds of rock ‘n’ roll and R&B that were taking over the dance halls and juke boxes… in what came later came to be known as swamp pop. A seemingly endless parade of tropical storms sweeping into the Southeast and blanketing bayou country leads me to one conclusion. 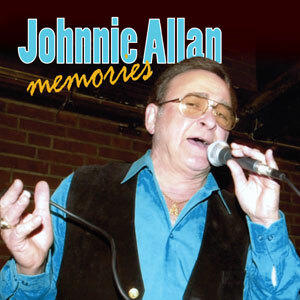 It’s time to shrug off the bad weather and listen to Memories, a new album on the Jin Records label from Louisiana swamp-pop legend Johnnie Allan. 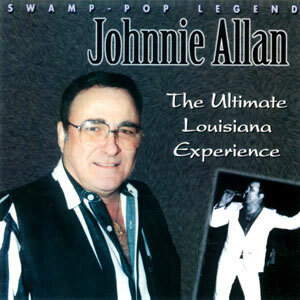 Johnnie, who was born John Allan Guillot and is the offspring of Louisiana Cajun parents, has been a fixture on the regional music scene for many years. During his long career he’s performed just about every kind of music popular to the area, and along the way has become known as the ‘King of Swamp-Pop’. 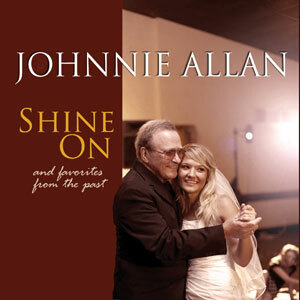 This collection of 22 tracks offers up a sampling of Johnnie’s singing style through the years, with examples from every era of his colorful career. It also includes a variety of sounds that show his comfort with all kinds of material, as he crosses genres with ease. Examples range from the slow and bluesy “Come Sundown” to the rousing, rockabilly-styled “All By Myself,” which was probably my favorite on the album. A lively collection of feel-good music from the bayou — and something that just might be what’s needed about now, when folks need a little something to forget their troubles. Legend is one of the most over-used words in the music industry, but there can be no argument with its use here. John Allan Guillot was born in Rayne, Louisiana in 1938 and began recording twenty years later as a member of the Krazy Kats, having been singing and playing rhythm and steel guitar since early in the decade. He went on to become a schoolteacher and a tireless champion for Louisiana culture (his great uncle was the inimitable accordionist Joe Falcon); I interviewed him around two decades ago and he still strikes me as one of the most gracious people I have ever met! But what of the music? Well, these days “American Roots Music” is also an over-used term but again, there is no disputing that Louisiana swamp-pop is roots music par excellence. Its spiritual home is on Floyd Soileau’s Jin label, and there are 25 slices of it here, in its purest form. There are plenty of those south Louisiana two chord ballads that betray the influence of Fats Domino and others, all yearning vocals, droning horns and tinkling piano; there is jerky New Orleans rock and roll with a Cajun accent, there are a few Country & Western tunes with a verse or two in French just to stamp a Cajun identity on them, there are a couple of items that could only come from listening to early sixties pop, there are some numbers that mix all these elements up together, and of course, there is “Promised Land”. This set proves that there is much, much more to Johnnie Allan than this, his best known number (in Europe anyway), but it is undeniably one of the finest two minutes on vinyl to come out of the US. Chuck Berry’s rocker, of course, with a furious, raw, driving rhythm, Johnnie’s impassioned vocal (and that endearing mistake in the lyrics), and the unforgettable wheezing accordion breaks simply astounding, and if you don’t know it, I envy you the pleasure of hearing it for the first time! The Essential Collection is the subtitle of this album, and that is indisputably the truth!